The most important aspect of Camp Penuel is sharing the Gospel of Jesus Christ with children who may have never experienced true love. Staff members lead morning and evening chapel services. 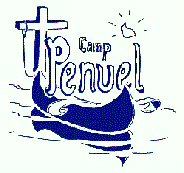 Camp Penuel is a non-denominational camp and focuses on sharing the pure Gospel of Jesus Christ. Many special guests come and share the good news of Jesus Christ with the kids. Anyone from local radio personalities, to a ventriloquist, to college groups from around the United States come and share their hearts with the children. However, a majority of the chapel services are led by staff members who consist mostly of college students with a heart to serve God.